Research by DuckDuckGo suggests Google produces personalized results every chance it gets, even in Incognito mode. This means that users cannot get a moment of respite from online advertisements. 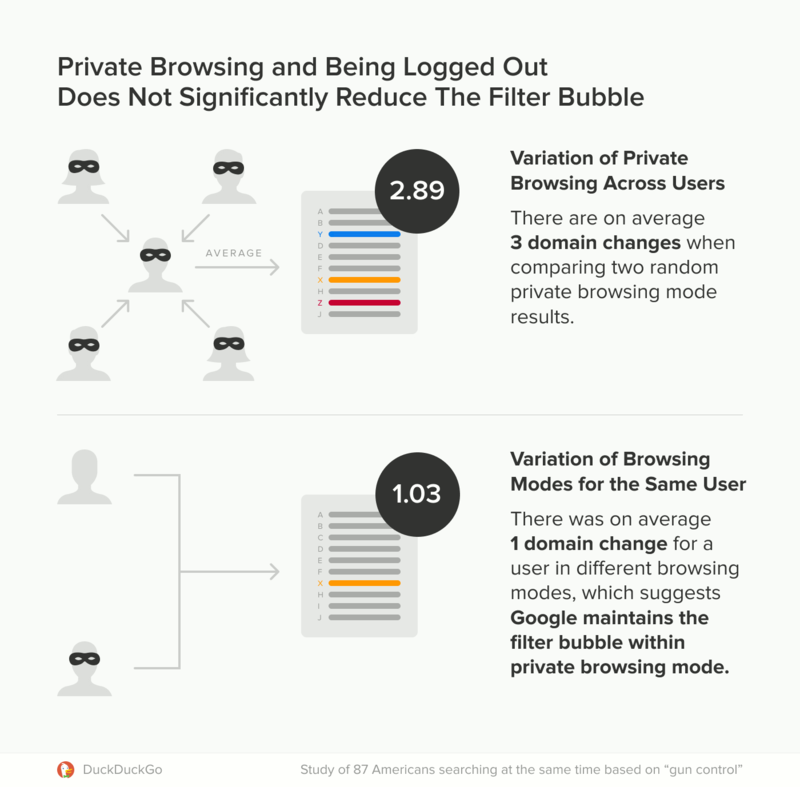 Since DuckDuckGo is a direct competitor to Google, it might show some bias with this study. Take this study with a grain of salt. According to DuckDuckGo, escaping from online ads is much harder than one might have thought. DDG believes that even if users are logged out, they cannot free themselves from the clutches of Google. Our online activity is constantly being monitored so Google can create a consumer profile of us. It can then target us with ads more precisely. DDG remarked that it found quite a significant difference between the produced search results. Most of the participants in the study saw results that were unique to them, while some saw links that others did not see. According to DDG, results in the news and video tabs were also entirely different. But there was little difference in incognito mode when the users had logged out. 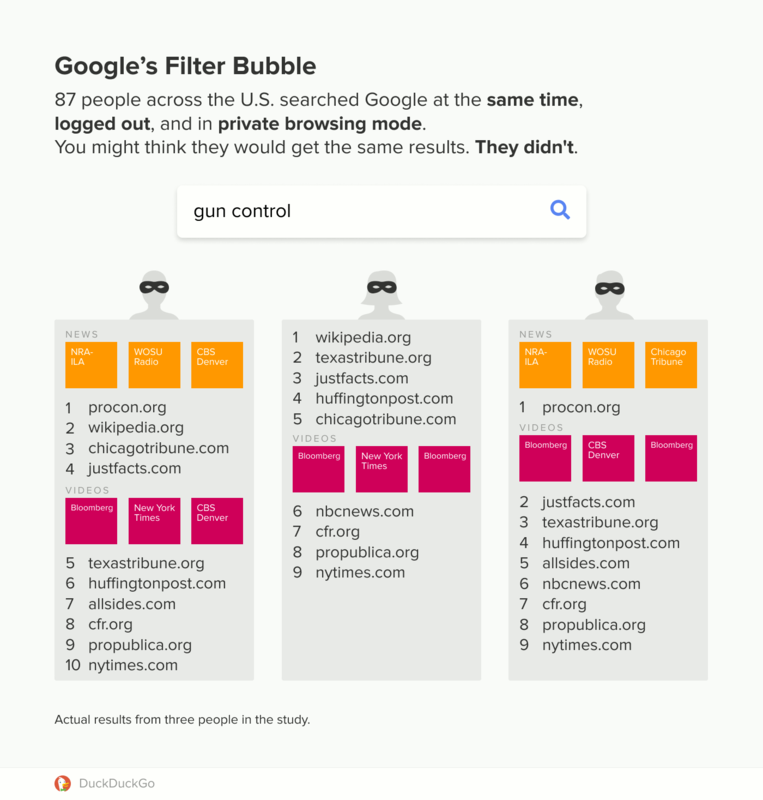 DDG claims, “It’s just not possible to use Google search and avoid its filter bubble. Google responded to the study by claiming it was flawed. The search engine giant recently claimed that it had tweaked its algorithms to minimize personalized results. Google invited reporters from CNBC to sit in on an internal meeting with the algorithm team. It seems DDG’s goal behind the study was to check if the claims were true or not. If the study is indeed unbiased, then it would mean that Google is still following the “Personalized Search” model. This model was introduced all the way back in 2009. DDG instructed US participants to search a term at the same time while in incognito mode or logged out. The search should have been similar, but they weren’t. 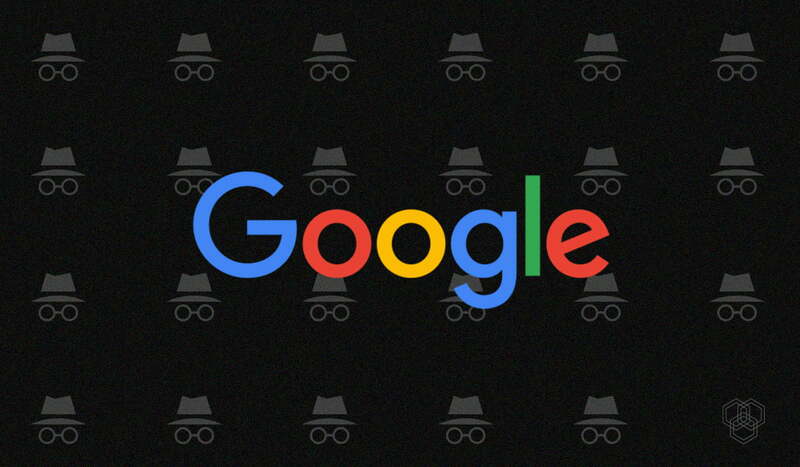 According to DDG, logging out or using the incognito mode did not affect the search results much. Google was quick to dismiss all such claims, stating that there are some factors because of which results may vary for each user. The company says factors such as time and location can vary the results. Such factors were not considered in the study. This means that even slight variance in time or geographical location may produce different results.